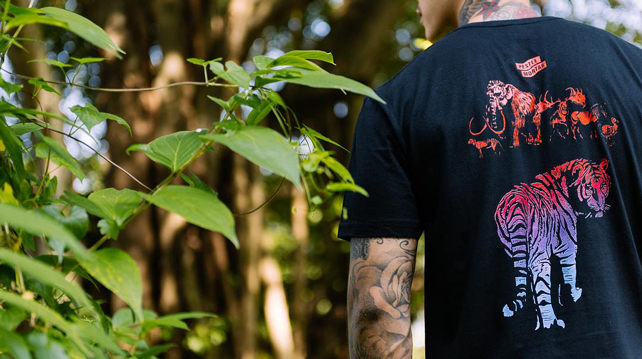 Fresh off the heels of their collection with Kenzo, Tiger Beer and WWF are back at it again, this time with a new collection called Endangered Edition done in partnership with local Malaysian brand Pestle & Mortar. The new collaboration features four distinct designs by four local talents: Hugh Koh, Julian Oh, Sean Lean, and Kenji Chai. Each design tells a story the designer thinks is important to highlight to the public. Hugh's work, called 'Judgement', depicts that of a Malayan tiger walking towards a group of extinct animals, illustrating its final destination should we fail to save it. The tiger's forlorn stare back at the viewers reminds us that its fate is in our hands. 'Maximus' is Julian's piece; it is simple but hits us right in the feels. It's a portrait of a female tiger with her cub surrounded by darkness. The void represents their non-existent future if the hunting and killing of adult tigers continue. 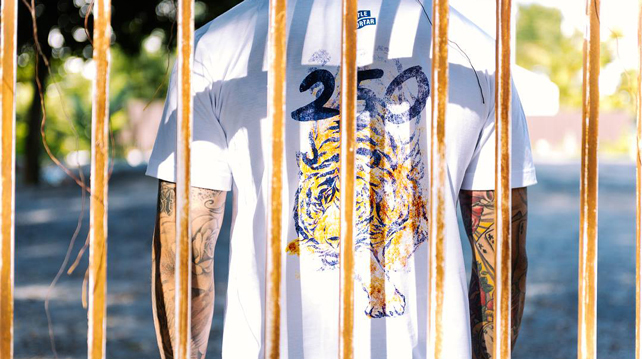 This artwork called '250' by Sean Lean reflects the estimated number of wild tigers left alive today while its faded, distressed nature represents the dwindling numbers of the tigers. "It is confrontational and uncomfortable – but it's a number we cannot escape from, and without our help, neither can they," Sean said of his work. Kenji's work is centred around the idea of symbiosis and how the forest and wildlife come together as one. 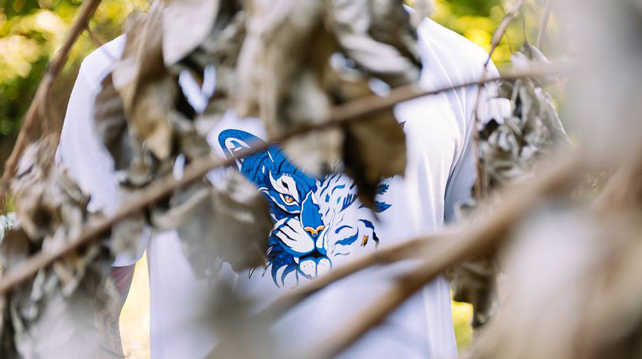 So, if we don't do something about it, the vanishing tiger on the T-shirt is quite self-explanatory. The Endangered Edition collection was available in store at the Pestle & Mortar flagship and now online at Major Drop and at Pestle & Mortar's online store. 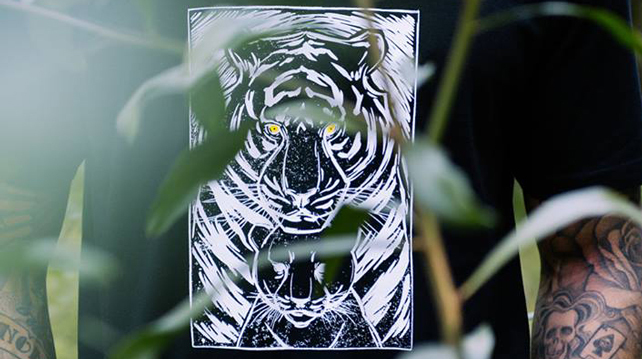 All the proceeds from the sale of this collection will go to WWF in support of tiger conservation efforts. What are you waiting for? Go get a tee! Cheque presentation by Tiger Malaysia and Pestle & Mortar Clothings to WWF Malaysia. 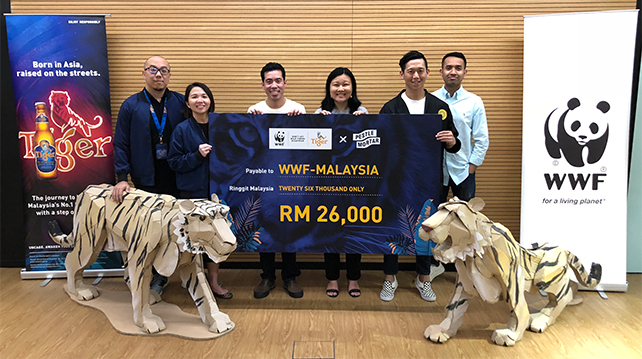 Update [5/10/2018]: RM26,000 (100%) of sales proceeds from the collection designed by the four Malaysians have been presented to WWF-Malaysia. This donation is on top of the USD1 million by Tiger Beer to the organisation globally.